We all know the night. The weeknight where you don’t get home from work late, one child has a school science fair and the other has soccer practice or we just don’t feel like standing in the kitchen cooking a gourmet dinner. 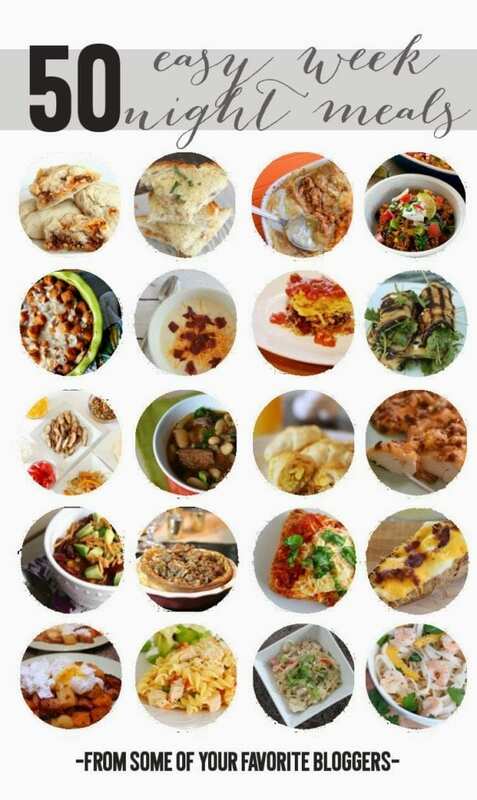 I have teamed up with over 40 bloggers to bring you a huge collection of quick weeknight dinner ideas. 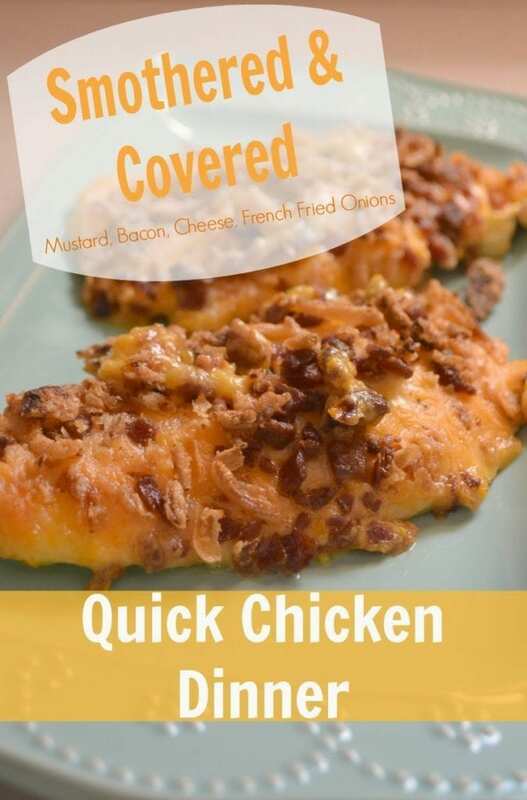 I am sharing a quick dinner idea for Smothered and Covered Chicken Breasts that is going to leave mouths watering and the kiddos (probably even the husbands and mommas) asking for seconds! 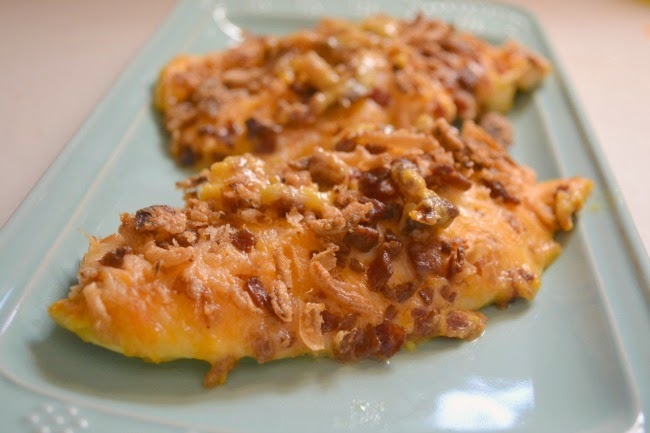 We have made this Smothered and Covered Chicken dish a few times since staying with my parents and everyone has loved it. 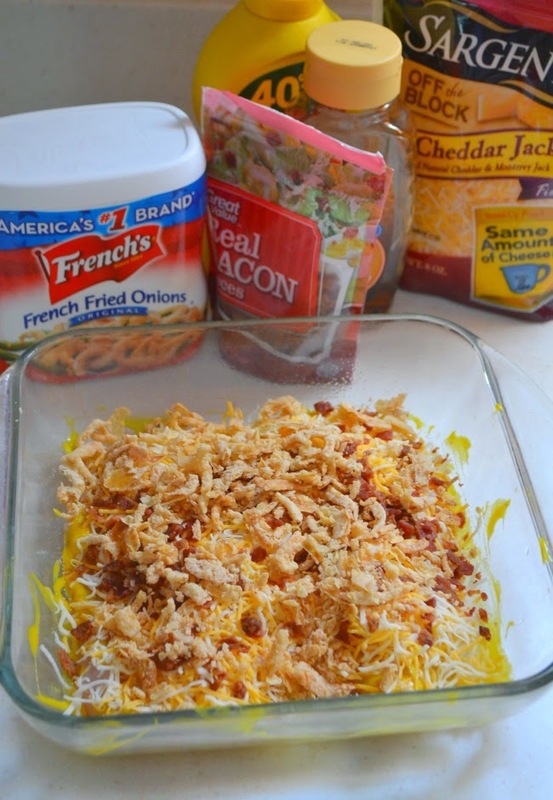 What is it smothered and covered in you ask… well it has honey mustard, bacon, lotsa’ cheese and french fried onions. From my mom and dad to my sister and my kids everyone has enjoyed this delicious dinner. Pair the chicken with a box of cheesy rice and you have a meal. I timed myself making this dinner last week and from start to finish it too 40 minutes. The chicken took 10 minutes of prep time and 30 minutes of cook time. While it cooks you can use that time to make a side salad, rice or another side dish. Butterfly each chicken breast and place in a baking dish. In a small bowl mix together mustard and honey. 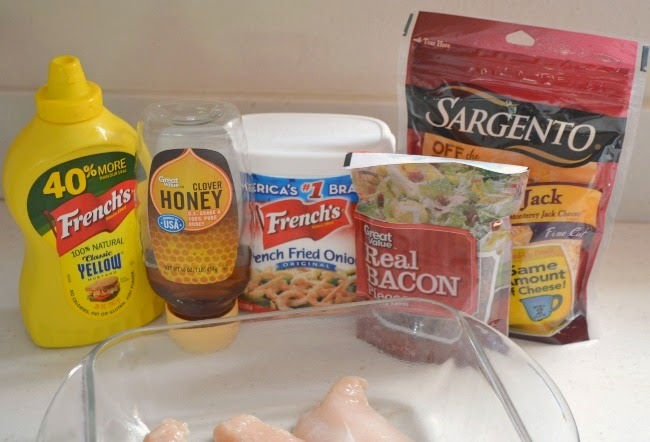 Rub mustard over both sides of each chicken breast. 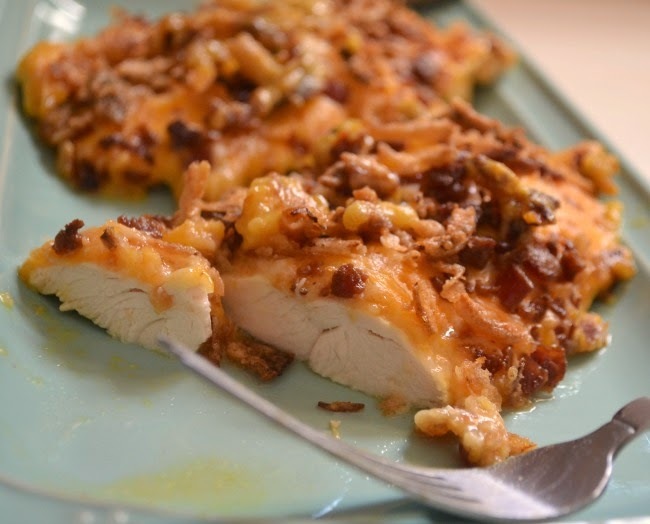 Top chicken breasts with cheese, bacon bits and french fried onions. 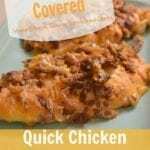 Bake chicken for about 30 minutes or until cooked through. Watch your family devour this meal! Since easy dinners are something we all look for from time to time (okay so I look for them more often than not!) I have teamed up with 40+ other bloggers to bring you even more quick dinner ideas perfect for busy weeknights! Mmmm, looks delish. I love those onion pieces!